Featuring a touchable Grey Balmoral upholstery, the Marseille accent chair is a comfortable addition to family homes. Made to perfectly coordinate with our wide range of sofas, it has a relaxed style, with a low silhouette and deep deat, perfect for lounging. Our exclusive plump-free seat cushion means that maintaining the chair's good looks is simple, and it will remain comfortable and good looking through the years. 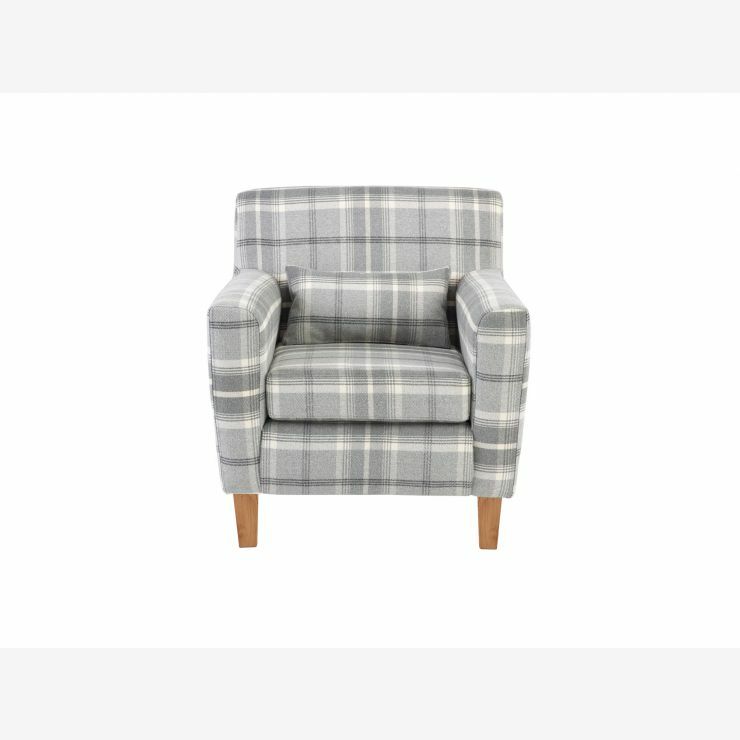 The sturdy solid hardwood feet match the rest of our living room furniutre ranges, and our expert frame construction, with hardwood at stress points and screwed and glued joints meants that your Marseille accent chair will be a favourite place to sit far beyond the day you bring it home. 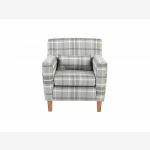 Browse our full sofa selection today for other colours, styles, and sizes, and don't forget that we offer free delivery as standard, straight to your living room!